Leaving the military to return to civilian life can be a difficult transition. There are some hurdles like finding a new job that may feel impossible to leap, and then there are the smaller day-to-day things like settling into a new routine that are strange to get used to. But there if there is one thing that veterans need to organise quickly, it’s finance. The military is an all-encompassing environment that takes in everything from where you live to what you eat. While you are there, this is great because you can keep your focus on the job at hand, but civilian life is quite different. If you’ve never planned your meals or budgeted for everyday clothes, figuring out how and where to spend your money can be a challenge. However, you can rest assured that you will find a rhythm for these things. It’s all about balancing where you can spend and where you can save. Try a simple trick: write down your monthly income and then list all your expenses. Over a couple of months, you will notice patterns emerging. You may find that you had underestimated the monthly cost of a few things but you might have overestimated in other areas. Finding the balance will take time and consideration but financial planning is so important for your quality of life, it is worth doing properly. As you settle in, the first few months will probably be the most challenging financially. Once you are into your routine, it is time to start planning for the long term. Consult your spending again and try to put up to around 10% of your monthly budget into savings. This fund might go towards your retirement, but it is also a great way to save up for more expensive things like holidays, cars and even a house! The military gives you a great independence and strength of will, but sometimes that makes asking for help a little more difficult. There is absolutely no shame in seeking help and at this transitional time of life, there are all sorts of benefits that could help to make your finances work for you. You may need to ask for help to apply for these benefits but there are plenty of companies who are willing to advise you. 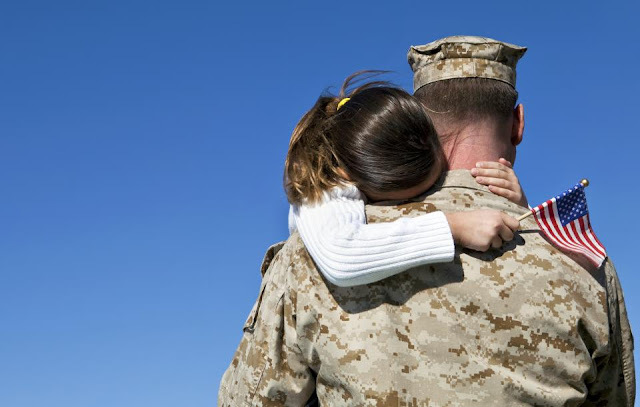 If you have a hidden disability such as PTSD - one of the most common disorders caused by active duty - you could look at veterans PTSD resources for extra guidance on how to apply for and receive the benefits you deserve. To help you further on your road to civilian life, it is also worth looking into support groups in your local area. These groups are ideal for getting to know the other veterans around you, and they are going to be a great source of support and advice for your transition.